We feature the SkyTrak Launch Monitor, Video and Swing Analysis Tools to evaluate ALL of the aspects of your swing. Our Launch Monitor measures your Swing Speed, Swing Tempo, Ball Speed, Spin Rate, Launch Angle and Shot Grouping Information. We use the V1 Video Analysis program to capture and analyze your swing. 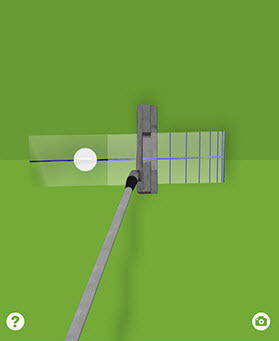 Our SkyPro Putting Analyzer is used to measure Swing Path, Speed and Angle Of Attack. We use the GolfMechanix Fitting Putter to accurately measure Length, Loft and Lie. 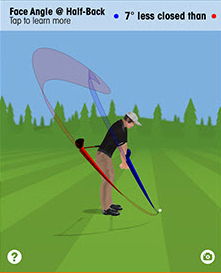 Brians Golf Works uses our Experience and the Latest Technology in Swing Diagnostics to measure and Evaluate all or the characteristics of your swing. Our Iron Fitting Cart has over 20 Clubheads (RH & LH) and a Large Selection of Shafts in Graphite and Steel with Flexes from X-Stiff to Ladies to Mix and Match for Testing. Your Fitting Session will provide Swing Speed, Swing Tempo, Ball Speed, Spin Rate, Launch Angle and Shot Grouping Information. Our Iron Fitting Cart includes clubheads from Tom Wishon, Alpha, Swing Science and Acer. Our Driver/Wood Fitting Cart has over 8 Driver & Wood Clubheads (RH & LH) and a Large Selection of Graphite Shafts with Flexes from X-Stiff to Ladies to Mix and Match for Testing. Your Fitting Session will provide Swing Speed, Swing Tempo, Ball Speed, Spin Rate, Launch Angle and Shot Grouping Information. Our Wood Fitting Cart includes clubheads from Titleist, Tour Edge Exotics and TaylorMade. You purchased the Latest and Greatest Adjustable Driver and you ready to take it to the course. In order to take advantage of that technology you’ll need to have it set up properly for your game. Our Driver Setup Fitting Session will provide Swing Speed, Ball Speed, Spin Rate, Launch Angle and Shot Grouping Information. We will test changes in Loft and Lie (Draw or Fade) to find the Optimum settings for your swing. We use a Putter Fitting Club to measure your Loft, Lie and Putter Length. We also use the SkyPro Swing Analyzer for technical readings of your putting stroke. The readings from the Fitting Putter plus the SkyPro data are used to Customize your Putter or Create a New Putter. We stock Right and Left handed Putter components in both Anser and Mallet Style clubheads and a Large Assortment of Grips to Custom Fit any Putter. Our BGW Custom Shaft Comparison Software along with the Tom Wishon Shaft Profiling & Golf Swing Speed Programs are used to fine tune the golf shaft selection to best enhance your swing characteristics. We Custom Fit Shaft Stiffness by making shaft setup adjustments during the preparation process. Our Auditor Digital Swingweight and MOI Machines allow us to offer a choice of Standard Swingweighting OR Moment Of Impact (MOI) Assembly. Shaft Frequencies are measured and adjusted using our Auditor Frequency Reference Analyzer. Shafts are Spine Aligned and then installed using their Frequency readings. Loft & Lie Adjustments are made using a Mitchell SteelClub Loft & Lie Machine to fine-tune the set. Selecting the correct Golf Ball for your game is Very Important. The ads you see provide info, but is that info based on how you play or what the manufacturers want to sell? What Compression, Soft or Hard Shell, Flight Characteristics, 2-3 or 4 Piece design is right for you ? If you browse the Golf Ball Manufacturers On-Line Ball Fitting Sites (see below) they will provide recommendations for the golf ball that you will fit your game. Using the manufacturers recommendations you can purchase 3 Packs to evaluate how each ball design performs with your game. Click on the links below to access Golf Ball Fitting Websites. Please Note: At the time this webpage was developed Callaway did not offer an On-Line Golf Ball Fitting Website.